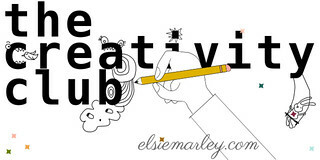 when my blog is quiet like it has been, it usually means i’m up to my eyeballs actually making stuff. and aside from making a human (due to arrive in less than 2 months now! ), i also sewed quite a few Christmas gifts this year – nine, actually. that’s kind of a lot for me. i got photos of MOST of them ahead of time, but may need to follow up on a few that i really want to photograph modeled rather than taped to a wall, so we’ll see how many of the nine show up here. i even made a MAN gift! anyway, let’s knock three out right now, eh? 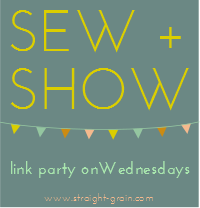 i have three nieces – my sister’s kids – and i feel like i don’t sew for them very often. i really wanted to make them each a comfortable, wearable, but uniquely handmade garment to go with some store-bought leggings I picked up on black friday. a Nessie Top! i tried to pattern test this for Jess of CINO, but her pattern testings somehow come at especially busy times for me, and I wasn’t able to. however, i still had the tester version of the pattern and was very excited to sew it up! the top comes together really quickly (construction is similar to the FBST, since it’s a simple knit shirt), but i love the swingy girly shape and hi-low hem of the Nessie, and couldn’t wait to make it in some Heather Ross Briar Rose strawberry jersey knit (sent to me by the very same Jess for my birthday, and such a dream to sew!). 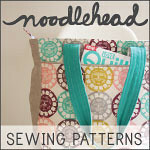 i hemmed it using my double needle and a walking foot and it worked great. i added a little olive colored microsuede pocket for a little extra interest and to make sure it didn’t go “pajama.” i left the pocket edges raw and zigzagged around them to secure. word is, my niece is a fan and it fits great! i made a 4T and she is average-sized (about the same size or bigger than 5.5 year old Em who tried it on and had just the right amount of growing room). for the 2.5 year old…a peasant dress covered in bunnies and balloons! 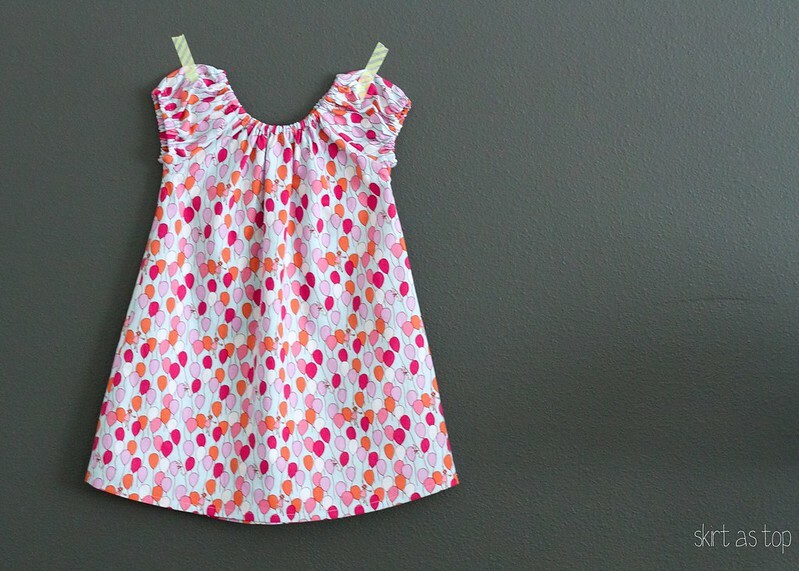 pattern is the sweet little dress by leila & ben. 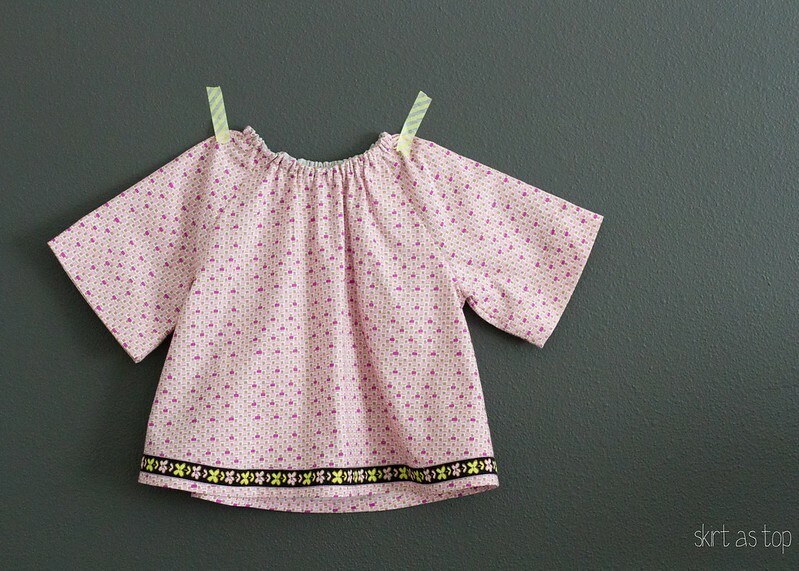 i’ve sewed a bunch of these in my time, and they’re always Em’s most-worn everyday dresses (remember this one?). 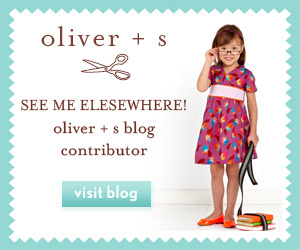 they make it easy for a little gal to dress herself, they’re reversible and comfortable and cute. they can be layered in the winter and worn alone with sandals in the summer. the recipient of this dress pulled it on over her Christmas Eve jammies upon opening it and, i’m told, cried when it had to be washed. i made a 3T for growing room, and flared out the sides a bit as i like to do on this pattern. 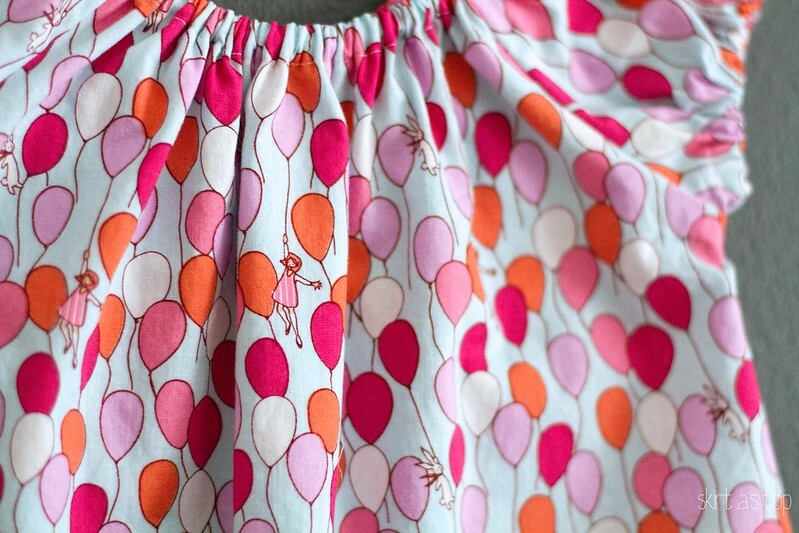 the fabric is Balloon in Aqua by Sarah Jane from her Children at Play line (still available here and here). i think i got it at Fabric Depot way back when. 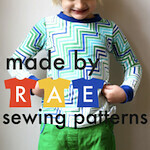 this is Made by Rae’s Pierrot Tunic, another pattern i’ve made quite a few times before. i made this in 12-18 months figuring it’ll be a dress now and a top later (the way these things fit, i bet the middle sis could wear it now if she wanted!). i omitted the neck ruffle but took a cue from Rae and added vintage ribbon trim to the bottom (can’t remember who so kindly sent that pretty ribbon to me! help? fess up!). the fabric had no selvedge info but has a really nice feel to it (almost like pima cotton maybe?) and was sent to me by Sanae Ishida as a thank you for guest posting for her – thanks, Sanae! it worked perfectly for the Pierrot. 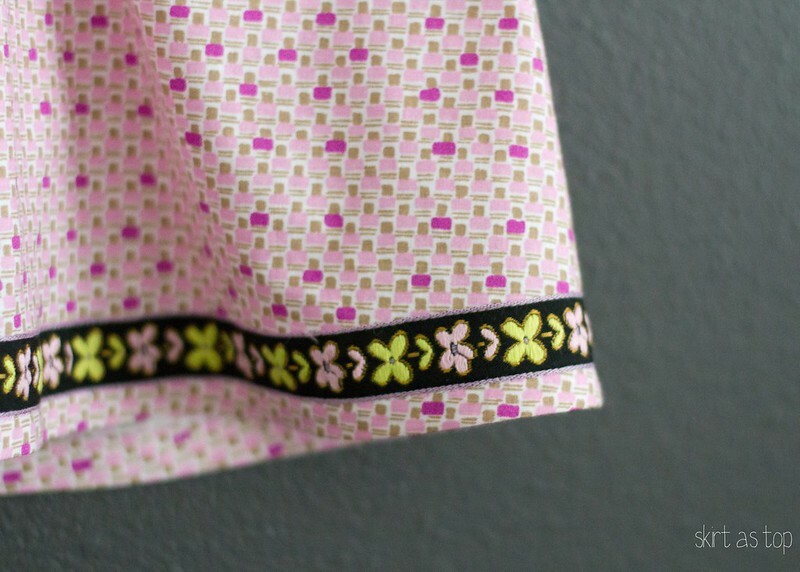 i stitched the ribbon on by staying right on that purple edging – so glad my machine allows me to move my needle ever so slightly to allow me to get that precise. and there ya go – three pink/purple garments for three sisters! i didn’t want to make anything so fancy or precious that it wouldn’t be worn, and i put a lot of thought into the styles i chose for each little gal. these were the first three gifts i made this year and i was nowhere near burnout yet, so they were super fun! it was good to sew patterns i was really comfortable with, too. that helped a lot. i’ll be back with more handmade gifts! These are darling, Kristin! Way to go making nine Christmas presents. I kind of petered out in that department this year. 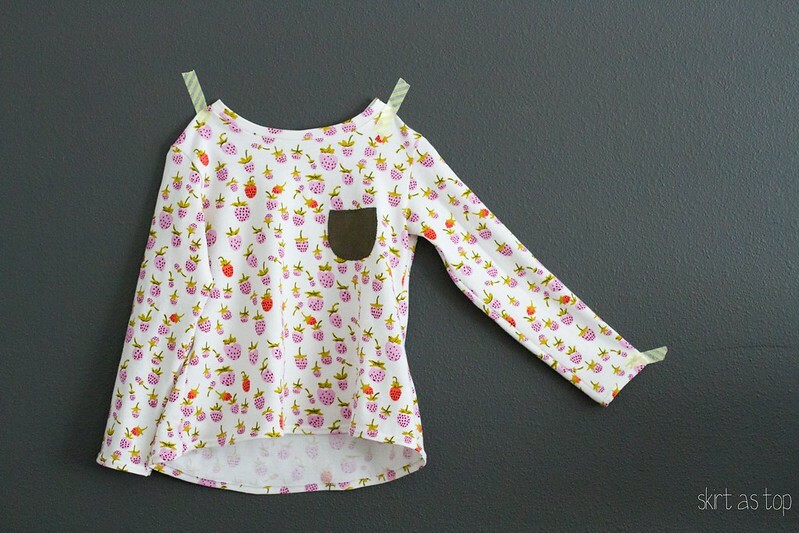 You have inspired me to go sew some new little girl clothes. Happy holidays, friend! I really appreciate you taking the time and putting so much thought into these gifts for our girls. Each is so perfect and fitting of their unique personalities! Clearly, each was made with love and like the other, most beloved garments you’ve made for them, will be worn until they are stretched beyond recognition, coming apart at the seams, stained, and many shades lighter from so many washings. Love you, big sis! Thanks, again. Adorable stuff, Kristin!! What a nice auntie you are. I bet your nieces will love them to bits! Beautiful pieces! I love the fabrics you picked it, and can understand why the recipient would cry when her balloons and bunnies had to be washed! so cute, all of it! 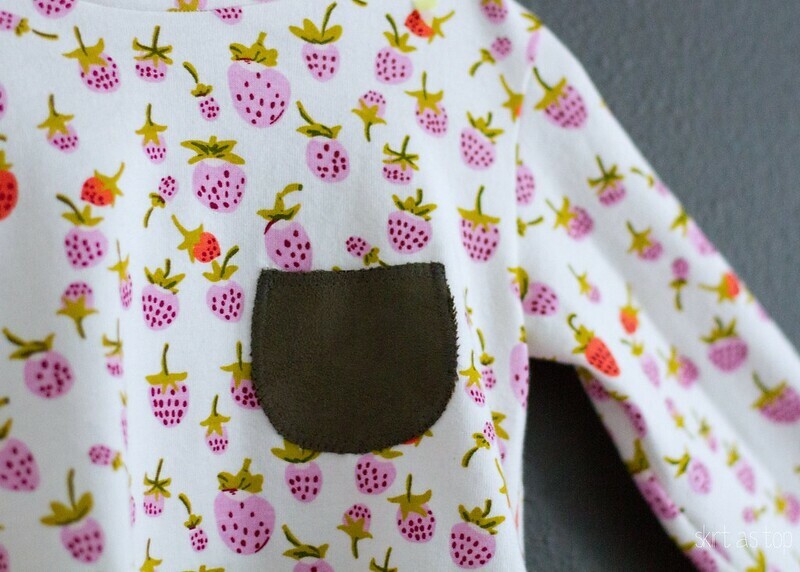 i’ve been looking for the right project for that same sarah jane forever – the sweet little dress is perfect. you are a good auntie indeed!! they’re all so gorgeous! Lucky gift recipients for sure! you’re a machine! and OMG your baby is going to be here SOON! So cute cute cute! You definitely deserve best auntie award! Adorable! Ooh, that jersey looks so amazing and I’m so excited you added a microsuede pocket. So bold. So perfect!